Younger drivers are the most likely to drive drowsy, with one out of seven drivers ages 16-24 admitting to nodding off behind the wheel at least once in the past year, a National Sleep Foundation study found. The National Sleep Foundation released its study for its annual campaign, Drowsy Driving Prevention Week, from Nov. 12-18. The foundation’s study also found one in 10 of all licensed drivers admitted to falling asleep during the past 12 months. The AAA Foundation for Traffic Safety estimates that about one in six deadly car crashes involves a drowsy driver. In addition to drivers who are falling asleep, the National Sleep Foundation’s 2011 Sleep in America poll found that among those who drove, 52 percent indicated they have driven drowsy and 37 percent had done so in the past month. Across the country, four states have laws related to drowsy driving: New Jersey, California, Utah and Florida. The laws vary, providing for a mix of educational campaigns, research and in New Jersey, a law criminalizing drowsy driving. Maggie’s Law states a drowsy driver – one who has not slept in 24 hours – qualifies as a reckless driver who can be convicted of vehicular homicide. The law was passed in 2002 following a car accident which claimed the life of 20-year-old college student Maggie McDonnell. The student was struck by a driver who had not slept for 30 hours and had been using drugs. The jury deadlocked in the first trial involving the fatal car crash. During the second trial, the defense lawyers argued that there was no law against falling sleep behind the wheel in New Jersey so the driver did nothing wrong. The driver received a suspended jail sentence and $200 fine. In Massachusetts, Sen. Richard T. Moore, (D-Uxbridge) has proposed “Rob’s Law,” which was placed under a study order this summer. The legislation is named for Major. Robert Raneri of the United States Army Reserve, who was killed in 2002 by an admitted drowsy driver on his way to work at Fort Devens. The bill would make it a criminal offense for drivers to drive drowsy in Massachusetts. 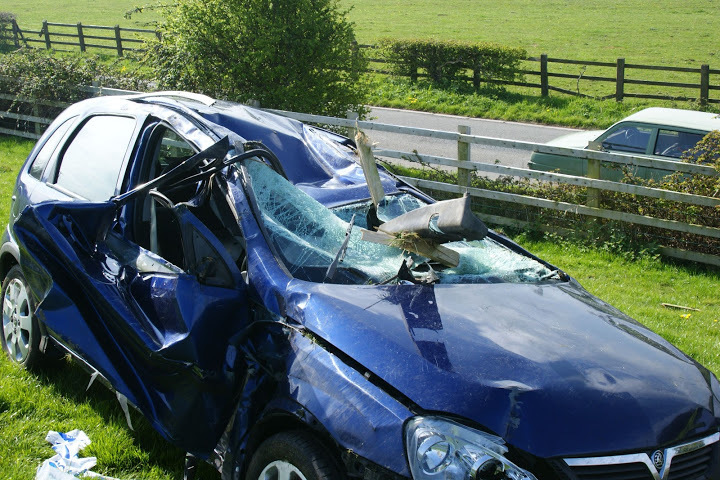 In cases where drivers cause a car accident resulting in death, they could be charged with homicide by a motor vehicle while under the influence of an intoxicating substance. Driving mistakes such as drifting from your lane and swerving. Not seeing other cars until they are immediately near you. Disobeying traffic lights or failure to see them change until another driver honks. Not remembering traveling the last few miles. Get a good night’s sleep of seven to nine hours at night. Do not be in a rush to arrive at your destination. Avoid driving long distances alone when you can. Consume caffeine if you need it. Avoid driving at times you are normally asleep. For long distance travel, take a break every 100 miles or 2 hours. Get a snack, change drivers, take a walk. Make sure you eat regular meals and snacks. If you need, stop and find a safe place to nap. Bill S.1773: An Act relative to drowsy driving. Drowsy Driving, National Sleep Foundation.